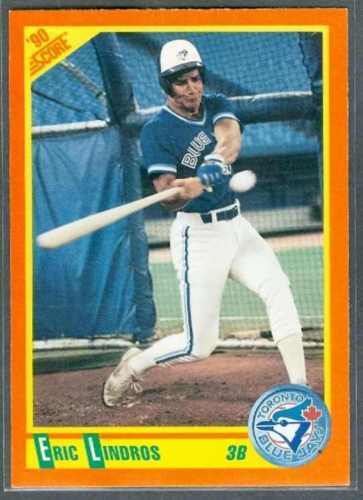 1990 Score Traded baseball Rookie Card of former NHL superstar Eric Lindros, who took batting practice with the Toronto Blue Jays as a publicity stunt. NrMt-Mt or better. ONLY ONE AVAILABLE FOR SALE.